If you are thinking of starting your journey as a motorcyclist here in the UK, you will need to apply for a provisional driving licence before you can hit the road. Although you need to be 16 years of age to legally drive a moped, you can apply for your provisional licence up to 3 months earlier. At 15 years and 9 months old you can make the application for your very first provisional driving licence. How exciting! A provisional driving licence enables you to ride a moped on the roads (but not motorways) when combined with the completion of your CBT – Compulsory Basic Training. You need to be 16 to ride one, and you need to display L plates at all times. The licence itself comes in the form of a credit card sized photo card which must be kept with you at all times. You can apply online via the gov.uk website, or you can apply through the post by using form D1. If you have any medical conditions that could affect your ability to ride on the road, you must advise the DVLA when you apply for your provisional licence. You will also need to submit proof of identification, your national insurance number, and a current passport sized photograph, in order for you provisional licence to be approved. Once your licence is received by the DVLA, it usually takes approximately three weeks for it to be created and delivered back to you. What Can I Do With My Provisional Driving Licence? First of all, you can be very proud and excited that you are about to embark upon many years of safe and legal motorcycling! 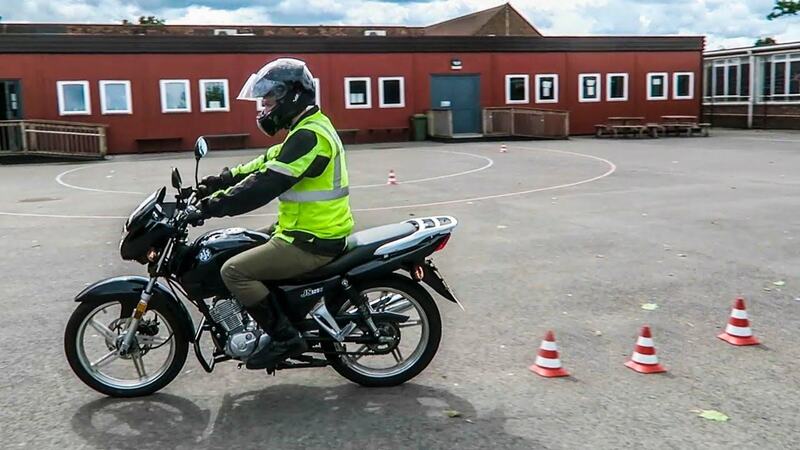 Then, you can go ahead and book your CBT course to enable you to get out on the roads and improve your driving ability, before taking further test as you advance in both years and experience. Your provisional licence will stay just that – provisional – until such time as you have competed a theory test and a practical test for your AM, A1, A2 or A full motorbike licence.